There are many ways… But one of the most useful benefit of using online videos, is to DRIVE TRAFFIC! Use this strategy and stand out from 98.2% of video makers. How to use the power of the crowds in your favor… it makes your video more popular and pushes it beyond its viral tipping point. 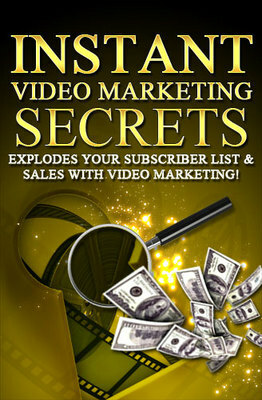 Instant Video Marketing Secrets - conquer your market video marketing secret;video marketing strategy 159539774 31.97 fibo0002 Fresh Download Available!